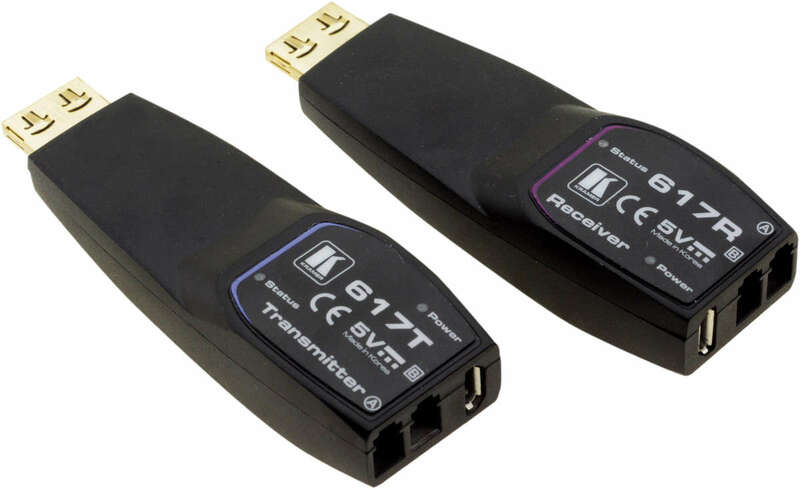 617R/T is a compact fiber optic transmitter and receiver capable of extending HDMI 2.0 signals over fiber optic cable. 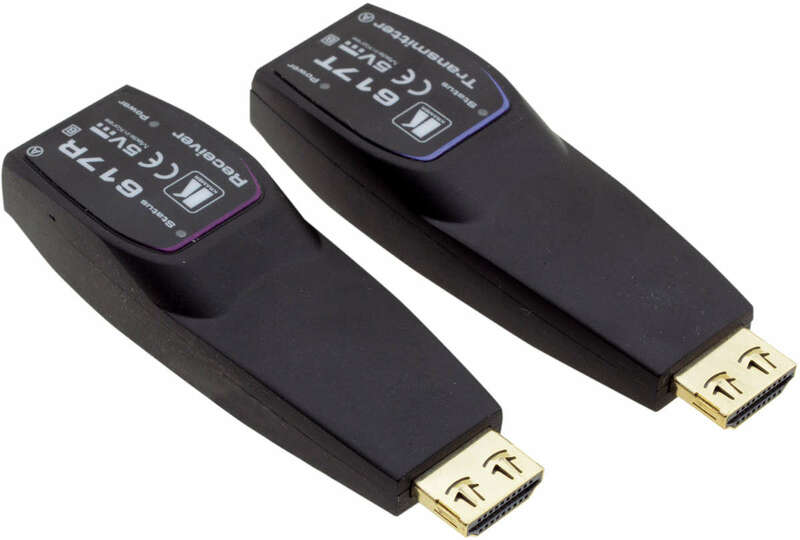 This set of extenders supports 4K@60 (4:4:4) resolution up to 328 feet (100 meters) on a dual LC multi-mode fiber cable. 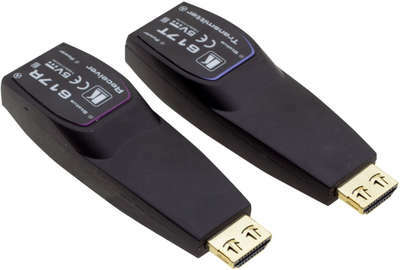 HDMI Support - HDCP 2.2, EDID and CEC. High Quality Connectors - 24K gold–plated and corrosion–resistant for the best possible connectivity. K–Lock Pull–Resistant Connectors - Provides 15lbs of restraining force for a non–slip connection. Compact Design - For easy plug and play installation.